A good city is like a good party – people stay longer than really necessary, because they are enjoying themselves. The United States excels in many regards: effusive greetings, aerospace research, craft beer, national parks, reality television. But car-free living? Not so much. Across the world, right this very second, cities are removing cars from their downtowns. Great news, right? Of course, except for the part about no U.S. cities being in this forward-thinking group. 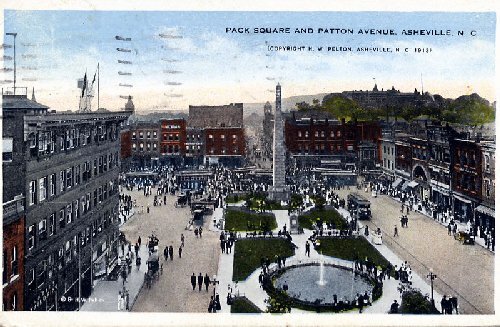 Yes, there are U.S. cities toying with the idea of creating more pedestrian-friendly zones, including DC, Portland, and New York City, and there are a few successful pedestrian malls scattered across the land of the free and home of the brave. 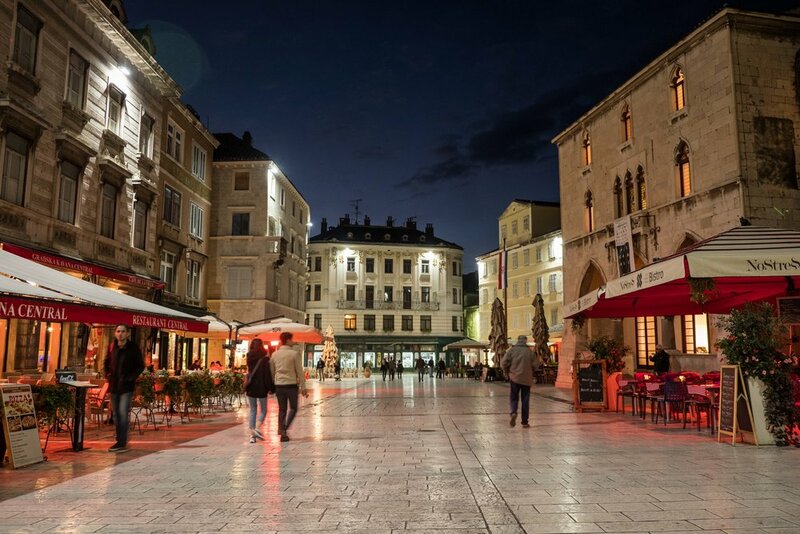 Unfortunately, though, no U.S. city has a straight up Ljubljana-style car-free downtown, and a few cities are actually reintroducing cars back into car-free zones. Come on, US of A, let's put down our chili dogs and get on this! After visiting so many incredible countries and cities this past year, I've come to appreciate the car-free downtowns of Europe. As cars continue to take over urban spaces across the globe, even Europe, it's refreshing to have a safe, clean, and vibrant place to escape to. With the exception of a few years in college, I've never owned a car and am accustomed to the perks of the car-free lifestyle, such as getting more exercise, connecting with my surroundings, and having more money to spend on craft beer. So why isn't the U.S. replicating these lively public spaces? The United States of America, as we know it today, was founded in 1776*. That's 131 years before Ford invented the world's first automobile, 150 years before cars became integral to society, and 180 years before the National Highway Act sucked the life from cities and spit it out in the suburbs. In other words, cities weren't designed for cars, making them the invasive species of urban spaces. 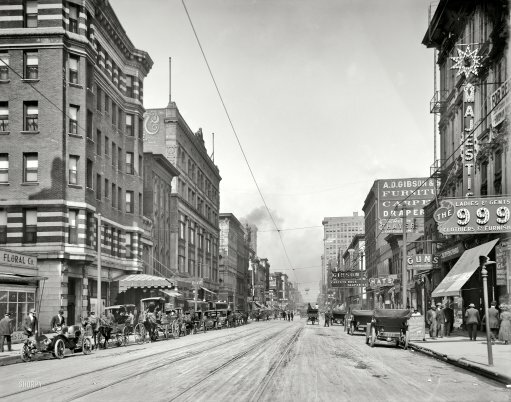 Looking at historic photos of cities, downtowns weren't made of up of narrow alleyways and small clusters of buildings like Europe's old towns but wide, linear promenades to best accommodate pedestrians and modern vehicles such as bicycles, horse-drawn wagons, and electric trolley cars. This wasn't fast-moving traffic like we have today but slow enough to make looking both ways before crossing unnecessary, and invite children out to play. Urban spaces at this time could also be dingy places thanks to muddy streets, nearby factories, coal-burning stoves, poor sanitation, crushing poverty, and shoddy construction, so while I'd never suggest cities were once perfect, car-free utopias, I will say that it's a brilliant idea for modern society to harness the intoxicating power of urban spaces in the form of car-free areas, especially now that we've overcome so many city problems, AND invented patio furniture. Beyond the simple reason of giving the streets back to people so they can better enjoy their urban space, there are lots of excellent reasons for cities to rope off a section from cars, especially if done correctly. A few, which I'll further explore in future posts, include increased foot traffic for businesses, a welcoming and safe environment for people, and a decreased burden on local government. "But what about deliveries?" shout concerned shop owners, and my non-expert response is that cities have found ways to address this issue, from designating delivery times to dispatching tiny trucks, and it's entirely possible to deliver goods to hundreds of shops, restaurants, and offices in dense, car-free spaces. "But traffic on side streets would increase dramatically!" is another concern, and I'd point to Nuremburg's street diet. Yes, the switch will take effort and face initial push-back; no, the switch is not impossible or a blow to downtowns. I have faith that a U.S. city will soon go car-free and cities will follow suit like dominoes. But back to my question, why isn't the U.S. replicating these lively public spaces? I believe it's due to a lack of education and the comfortable inertia that comes with groupthink urban planning. I question the effectiveness of popular events like "open streets" where a street section is opened to people for a few hours once a day, month, or year; I think they are a good start to addressing the need for people-friendly spaces and they give people a delicious taste of what car-free living is truly like, while also serving as a poor placeholder for a solution as they are highly-orchestrated, singular events that perpetuate the thinking that cars are a necessary part of our cities. So, as we all wait for the USA's first car-free downtown with anticipation like that sweet transvestite From Transexual, Transylvania, here are five U.S. cities with high foot traffic and a budding interest in going going car-free, making them prime candidates for diving in all the way. And while these cities are jewels in their own right, having a people-friendly downtown would seriously boost their street cred. City profile: Antebellum city of 344,000, founded in 1718 and more resilient than the coils in a bad mattress. 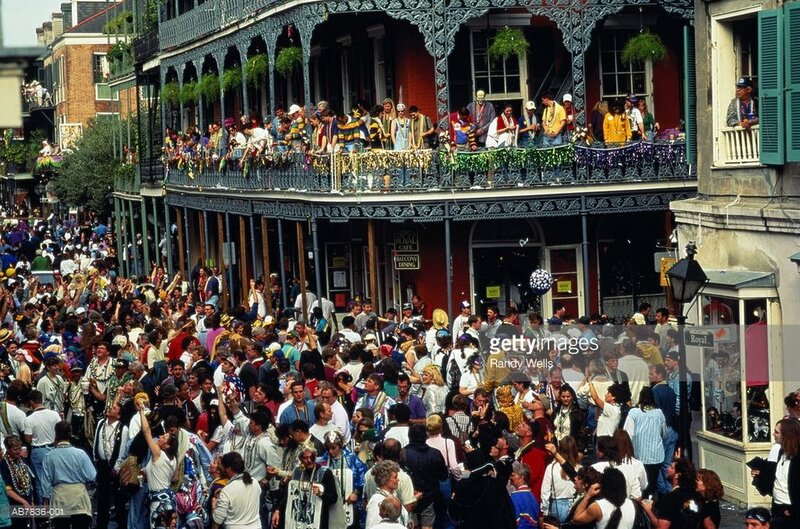 Notable for Mardi Gras, Creole cottages, cultural diversity, Hurricane Katrina, the nation's largest former slave market, shrimp, and beignets dusted with powdered sugar. 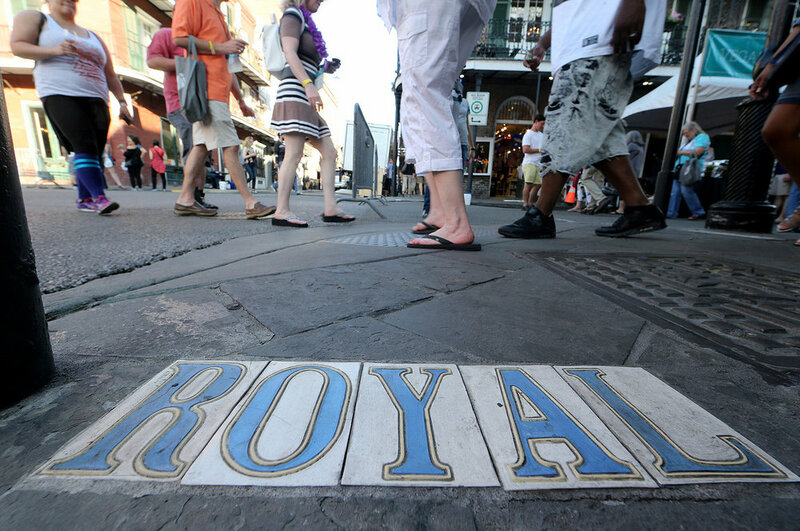 Why it should go car-free: I’m looking at you, French Quarter. 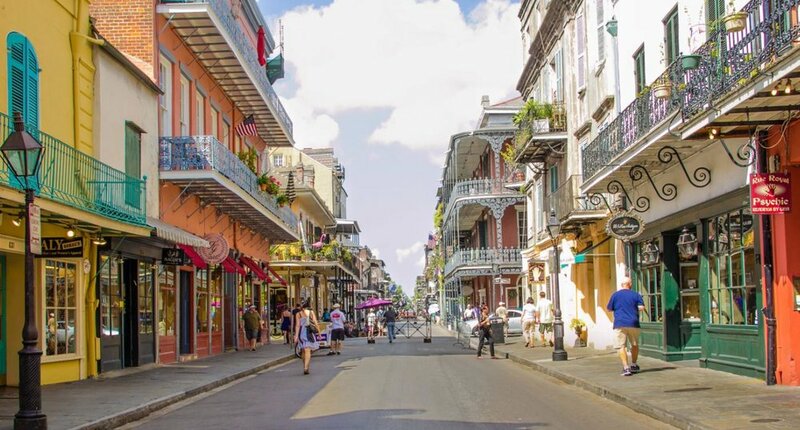 From 1971 to this past summer, a section of popular Royal Street was a "car-free lite" space, closing a few hours a day for pedestrian-only traffic, and NOLA's mayor recently proposed closing it entirely to vehicular traffic as a safeguard against terrorist attacks (hmm). And following Hurricane Katrina in 2005, cycling has exploded in popularity, with the downside being a spike in cyclist deaths at the hands of car drivers. These reasons alone are sufficient grounds to create safer spaces for people, be it car-free spaces or protected bike lanes. 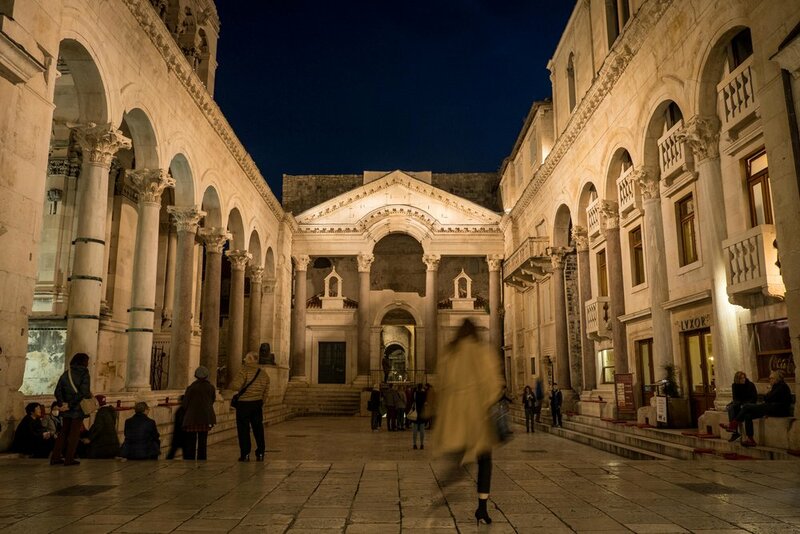 Hopefully, one day New Orleans will refer to its European roots, namely Ljubljana, for inspiration on becoming a more people-friendly place, although a fierce backlash earlier this year by business owners who want to keep the streets open to cars suggests otherwise. City profile: "City with a small town vibe" of 140,000, founded in 1749 and awash with history. Notable for colonial architecture, the Civil War, Potomac riverside, being DC's neighbor, Mount Vernon, the Torpedo Factory Art Gallery, and canine cruises. Why it should go car-free: Thanks to its close proximity to the nation's capital, Alexandria enjoys a variety of car-free transit options. Many of the city's residents work in DC and commute there by Metro, bike, bus, or slug (aka carpool), allowing them to fully embrace a car-free life, and the free trolley bus running down King Street to the waterfront is especially popular with tourists arriving at the Amtrak station. Alexandria participated in a car-free pledge day (how... radical?) this past September, and I was surprised to see that they don't have a car-free downtown event. In 2008, the city approved a charter with the goal of "meeting our community’s present needs while preserving our historic character and ensuring the ability of future generations to meet their own needs," making it only fitting that they designate a car-free downtown so pedestrians and cyclists can better enjoy Old Town for years to come. City profile: Small seaport city of 135,000, founded in 1670 and dripping in old-school Southern charm. Notable for cotton exports, former slave trading, the College of Charleston, architectural variety, historic preservation, its peninsular shape, and shrimp and grits. 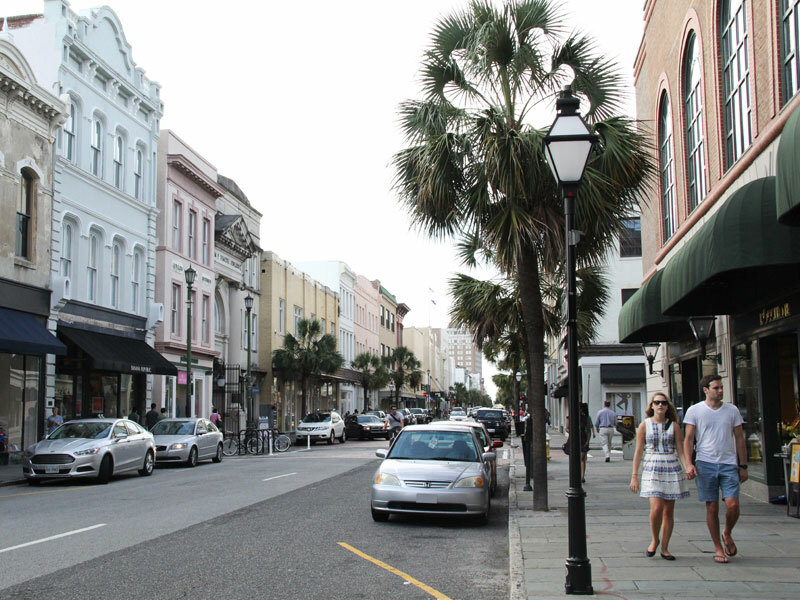 Why it should go car-free: The last time I visited Charleston was fifteen years ago, and the city's narrow streets lined with palm trees and pastel-hued buildings made quite the impression on me, just as much as its sidewalks packed with people and streets jammed with cars did. 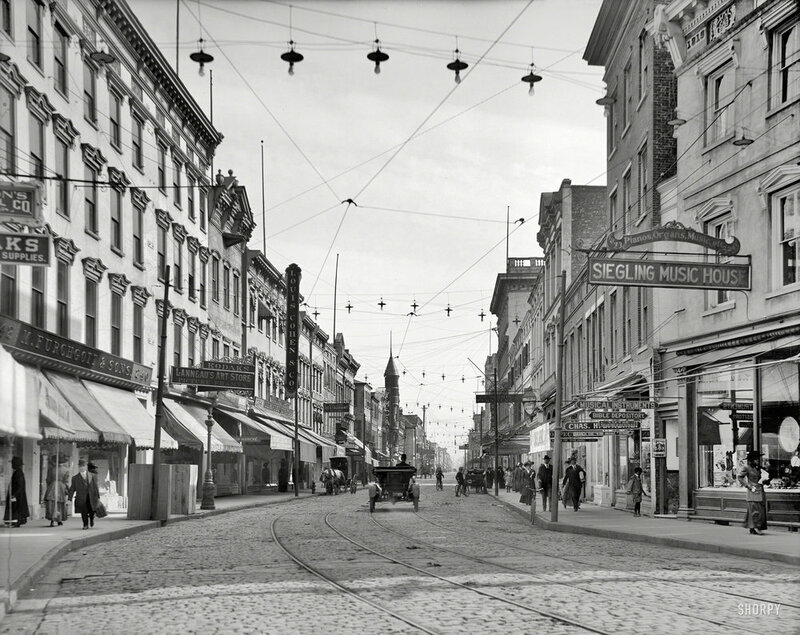 Charleston hit a low spot in the mid-1900s when many city residents moved to the suburbs, a sad truth for most U.S. cities, but recovered in the 1980s and continues to grow in popularity each year. 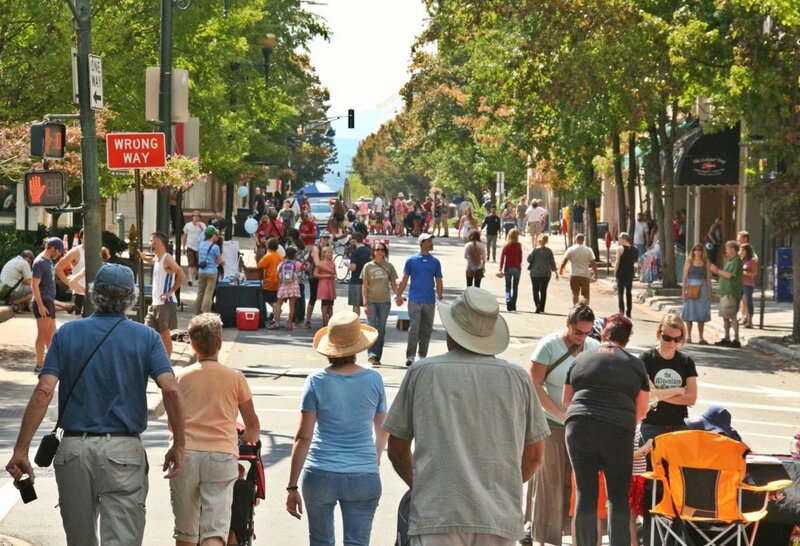 This picturesque city seems receptive to designating a car-free zone, as evidenced by the Pearl Street pedestrian mall and the monthly King Street Second Sunday, an event that closes a portion of the street to vehicular traffic for a few hours since 2011. And the best part about Charleston's downtown? 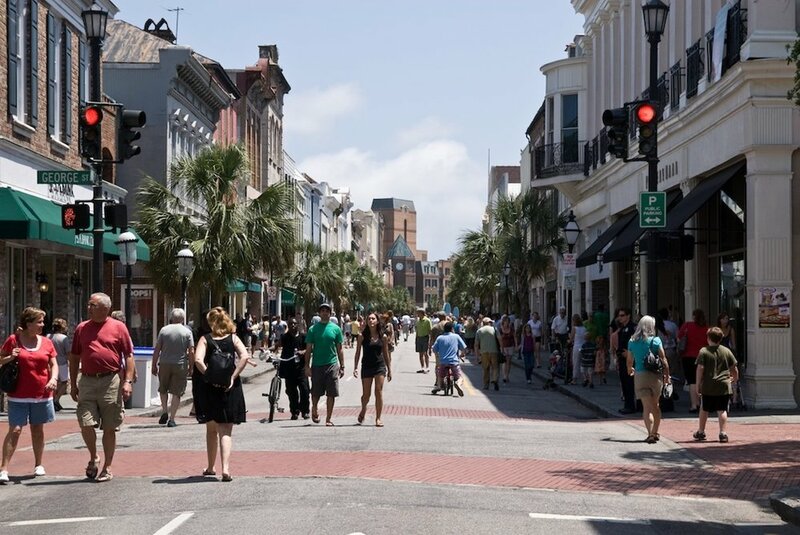 US News & World Report named King Street one of the 10 Best Shopping Streets in the United States, meaning increased foot/bicycle traffic could translate into even greater sales. City profile: Outdoorsy city of 90,000 nestled in the Blue Ridge Mountains, founded in 1784 and sweeter than pecan pie. Notable for hippies, the Biltmore Estate, industrial plants, former railways, autumn leaves, Thomas Wolfe's novel Look Homeward, Angel, and being too liberal for its own good. 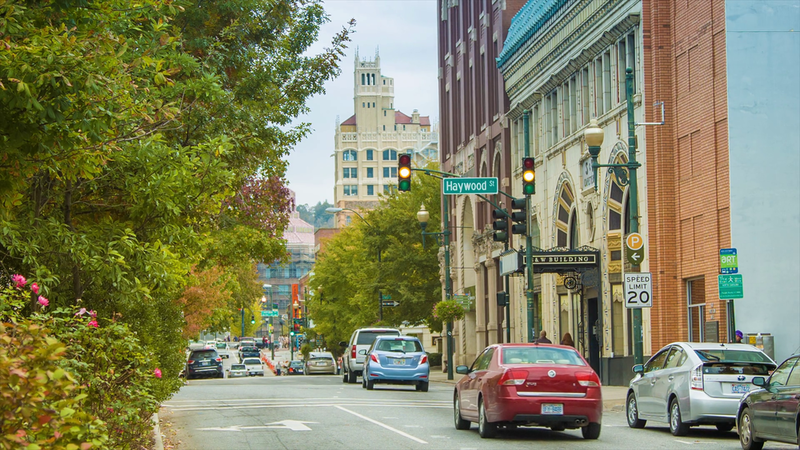 City profile: Sprawling city of 653,000 on the Arkansas border, founded in 1819 and more laid back than the slow-moving Mississippi River running through it. Notable for Elvis' Graceland, Martin Luther King, Jr.'s Lorraine Motel, blues music, a spandrel glass pyramid, Sun Records, BBQ, and the world's cutest ducks (and trolleys). 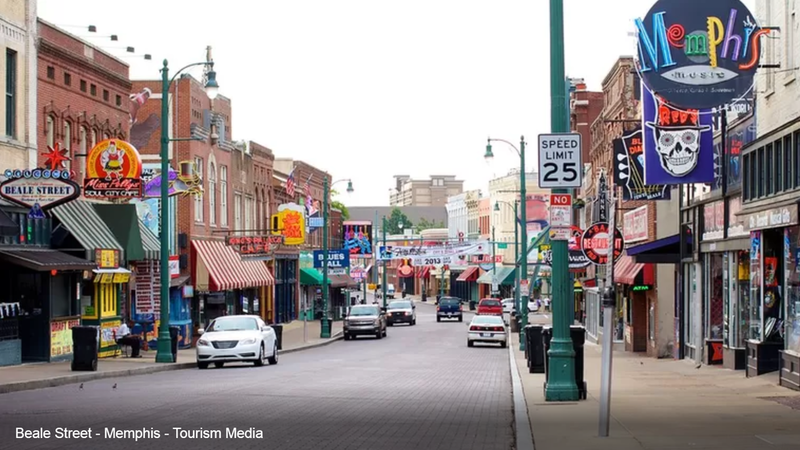 Why it should go car-free: Two words: Beale Street. Nine more: three blocks of nightclubs, specialty shops, galleries and restaurants. This popular area, really the heart of Memphis, already closes to cars at night so people can better enjoy the city's vibrant nightlight, and the mayor "challenged Memphonians" in 2014 to give up their cars for a month while at the same time opening protected bike lanes along the river downtown, all promising signs for a car-free future. 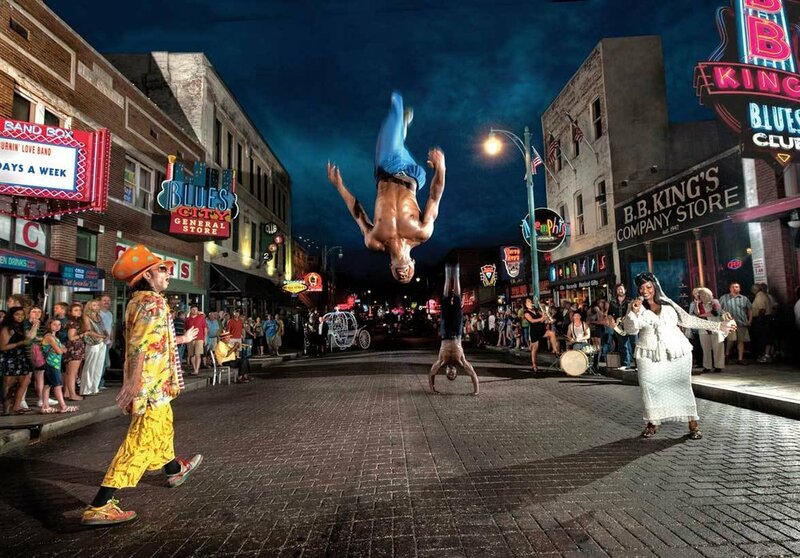 I was fortunate to spend the summer of 2007 in the birthplace of rock and roll, although I can't say it was the best place to be without a car; it's heartening to see a flurry of interest (here here here) in car-free living in Memphis. River City, we're waiting with bated breath for you to take the mantle of the first car-free downtown in the U.S.
*Of course, the United States of America was well-settled by natives before these years, so I use these dates in reference to when the current-day places were founded. What other U.S. cities are great candidates for going car-free, and why? Please share your ideas in the comments section!